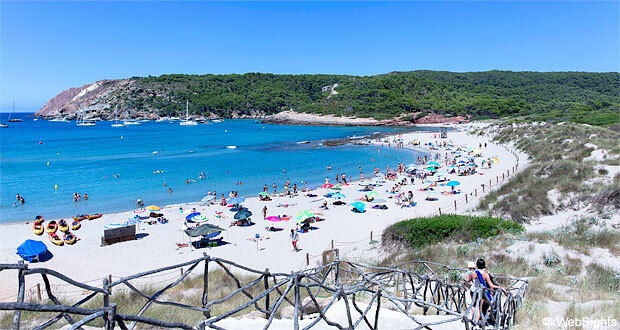 Cala Algaiarens, also called La Vall, is located a few kilometres from the small holiday resort Cala Morell in the north-western part of Menorca. 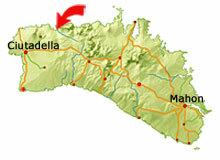 The distance from Ciutadella is a little over 10 km by car. 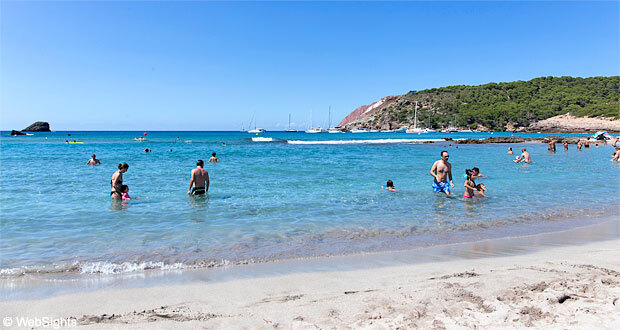 Cala Algaiarens consists of two beaches: Platja des Bot and Platja es Tancats, which is the largest one. The two beaches are situated inside a beautiful rocky bay, which makes it one of the best protected beaches on the north coast. Both beaches have fine-grained, bright sand, some places with a lovely reddish colour. The water is clear and deepens slowly, especially at the smallest beach, Platja des Bot. This is also the beach with the best protection against waves. The beaches have no particular facilities, however, there are toilets and supervision by a lifeguard during the high season. It is possible to go by car almost all the way to the beaches and there is a parking space by the large beach, Platja es Tancats. With their fine-grained sand and shallow, calm water, the beaches are very child-friendly. During the summer season, it is possible to rent sea kayaks at the beach. The bay is also very suitable for snorkelling or a nice swim in the beautiful scenery. There are no beach bars or restaurants by the beaches. There is no holiday resort at Cala Algaiarens. 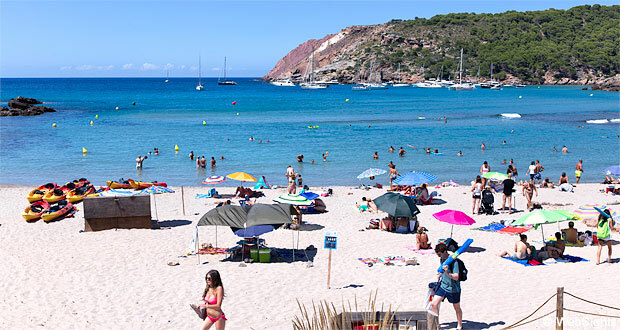 The closest holiday resort is Cala Morell a few kilometres away. There are no large hotels in Cala Morell, but there are quite many private holiday apartments and a few restaurants. 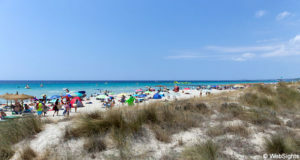 Many of the visitors at Cala Algaiarens come from Ciutadella. This is the former capital of Menorca and the second largest town on the island. Here there are many hotels, restaurants and shops. 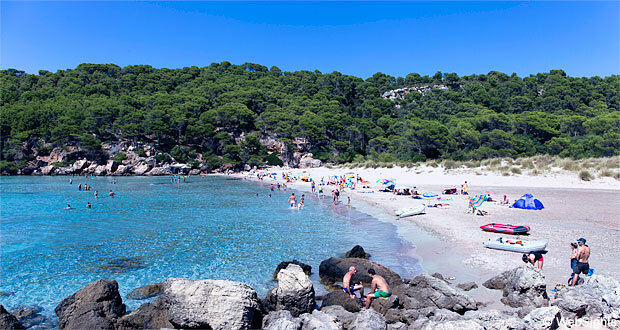 Cala Algaiarens consists of two beaches. 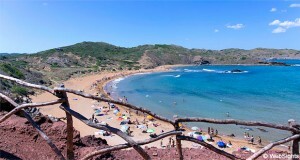 At the top of the map, you will find the smallest of the two beaches, Plaja des Bot. Platja es Tancats is at the bottom. The parking space is located 300 metres south of Platja es Tancats.